Marie Oliver has been a certified elementary school teacher since 1970 and a certified teacher of the handicapped since 1993. She focused on teaching children with special needs, including ADD/ADHD, autism, and dyslexia. 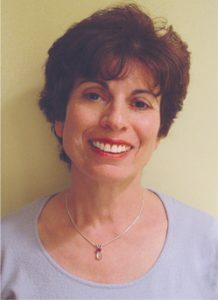 Marie earned a Master’s degree in 1993 from William Paterson University. In 1996, greatly influenced by the positive changes in her own chronic health issues, Marie began studying Jin Shin Do® Bodymind Acupressure®. She completed the requirements of the Jin Shin Do® Foundation to become a Registered Jin Shin Do® Acupressurist. In 1999 she left teaching to become a Jin Shin Do® Acupressurist. Her credentials include: Lic. NJ. Bodywork Therapist, Registered Jin Shin Do® Acupressurist, AOBTA member. Marie has also studied CranioSacral Therapy with the Upledger Institute, trained in Reflexology through the Institute for Therapeutic Massage, studied herbalism at The New York Open Center and studied Myofascial Release with John Barnes. 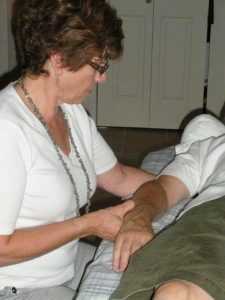 In February of 2009 Marie experienced a Myofascial Release session for the first time. She realized that this work was the next step in her own healing journey. Marie began studying MFR in April of 2009 and is now an Advanced MFR Practitioner. She credits Myofascial Release with alleviating her own chronic neck pain. Marie sees both adults and children in her practice. Clients seek treatment for many reasons ranging from stress reduction, to sleep disorders, migraines, muscle spasm, carpal tunnel, restricted motion, chronic pain, fatigue, sinus pain and depression. The ideal client is one who is interested in overall wellness and open to improving their health without medication. Marie has been in private practice since 1999. She currently has an office within The Stress Reduction Center at 700 Godwin Avenue in Midland Park, NJ 07432.